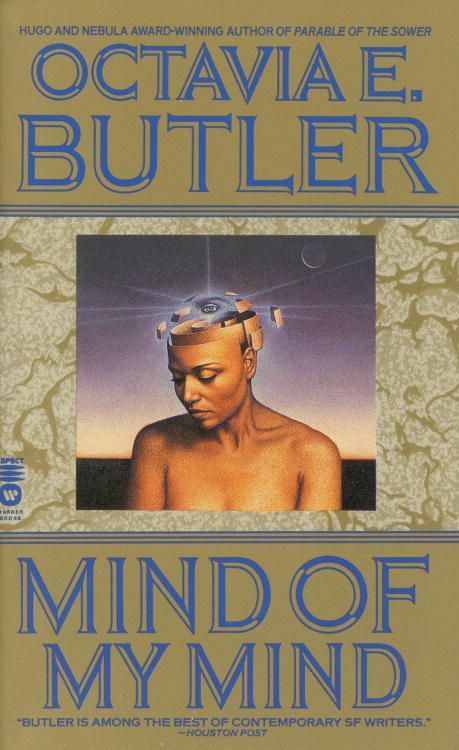 The second book of The Patternist series, Octavia Butler’s Mind of My Mind (1977) is a sequel to Wild Seed and the legacy of the spirit man Doro. 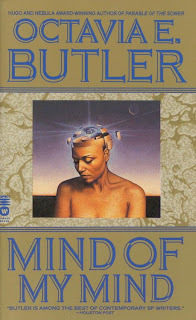 In Wild Seed, readers were introduced to the unruly, emotionally unavailable, body snatching spirit man Doro who was hell-bent on creating generations of powerful beings. In Mind of My Mind, we see that community created, but there is only one problem—Doro didn’t build the community, his daughter Mary did. However, Mary’s new gift and power would not come without a price. As the pattern grew, Mary’s hunger for power increased, and when Doro commanded that she relinquish power—because “he recognized her as a possible twin”—she could not obey. Mary was now a “predator” and “the pattern represented power” and she was “the one woman holding everything together.” Literally. This seemed like the end of Mary and the pattern until she found a way to “embrace him, she was a leech, riding feeding orgiastically.” In a couple minutes of struggle, she “used her metal closeness with him to draw him into her web. Her pattern.” As she regained control, she “consumed him slowly, drinking in his terror and his life, drawing out her own pleasure, and laughing through his soundless screams.” Making her the patternmaster.